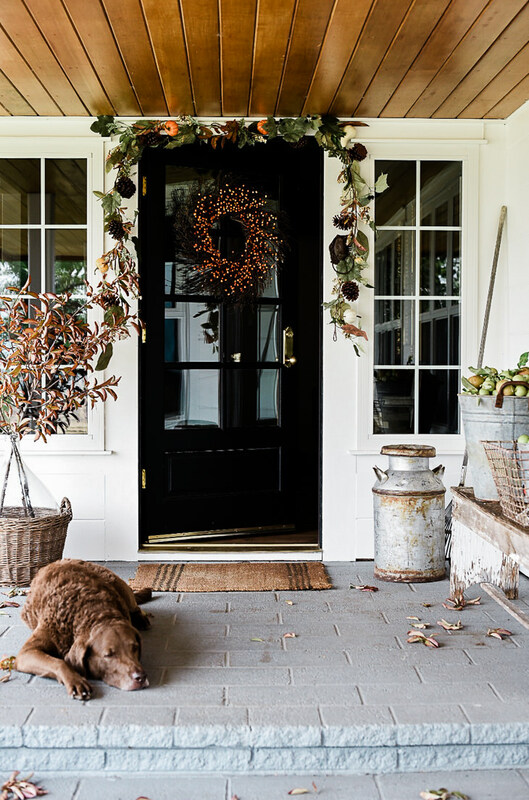 Looking for fall front door inspiration? You’ll love these 10 ideas! 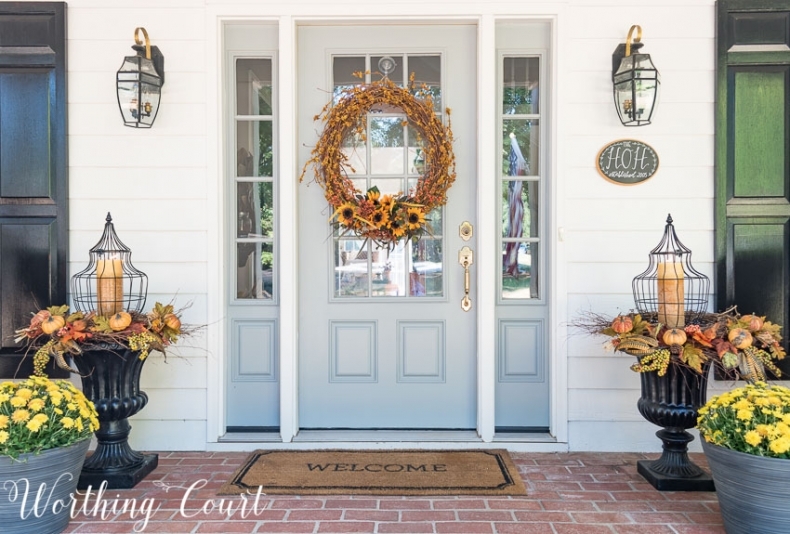 Welcome your friends and neighbors with a beautiful fall front door. All of these projects are gorgeous and sure to inspire you! Please click the blue/gray links to be taken to the original source. Fall is finally here! 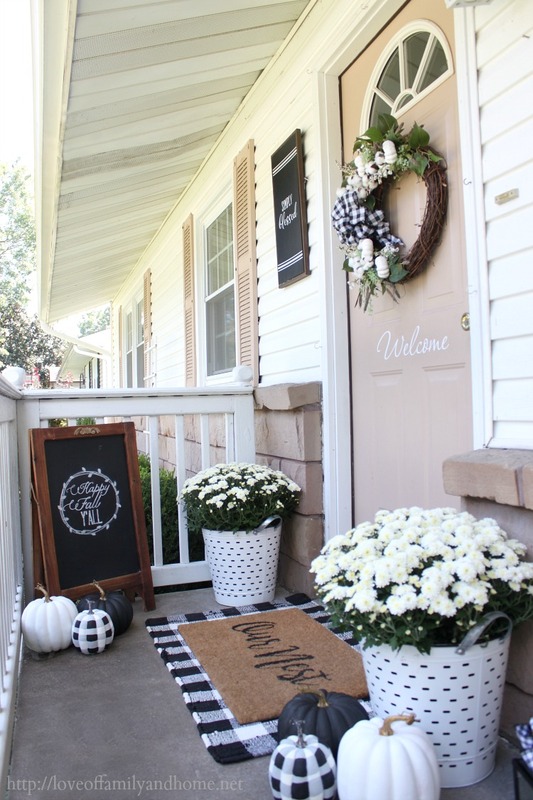 Step-by-step tutorial for this chalkboard wood slice door hanger included in this post. Fun change from a traditional wreath! Traci shows us how to assemble the basket and a clever way to hang it without a traditional wreath hanger. Love it! 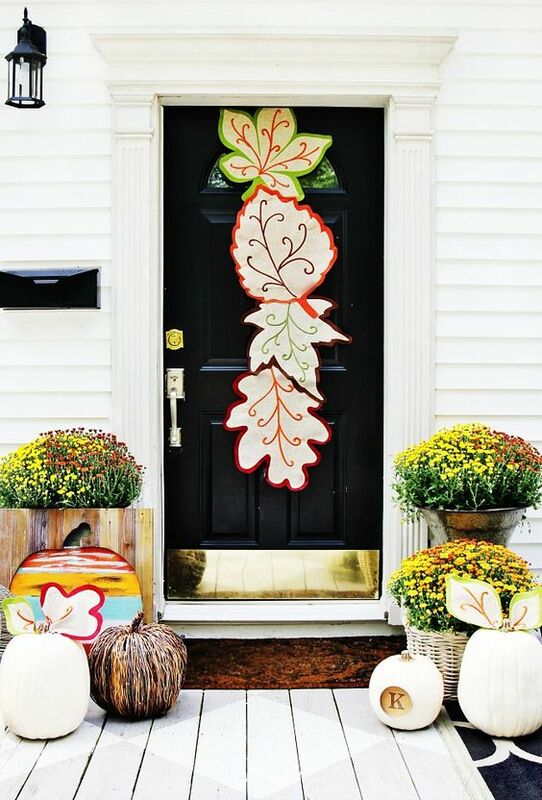 Go see how Karianne re-imagined this fall decor for her front door. So cute! 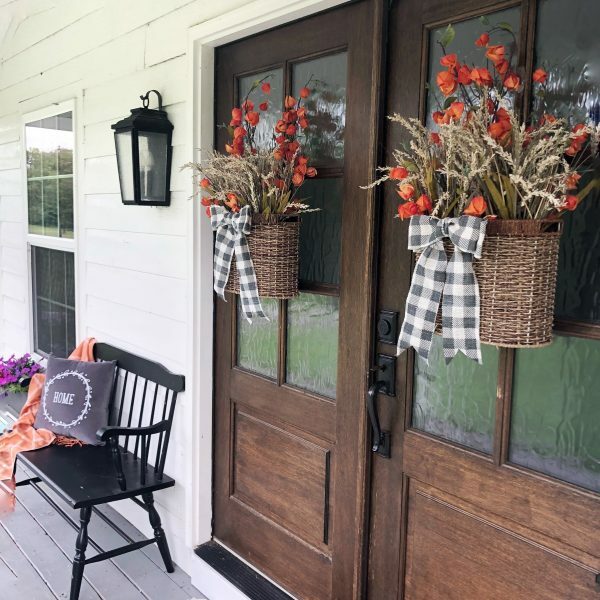 Blending sunflowers into traditional fall decor will mesh late-summer into fall beautifully, and so helpful since late summer runs well into November for many locations. Suzy from Worthing Court Blog shows us how she made this twig branch wreath come alive with berries, sunflowers, and bittersweet. 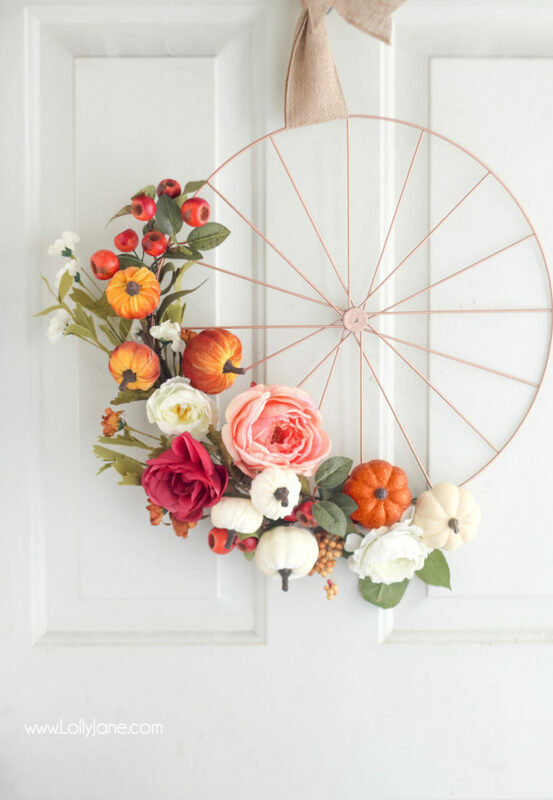 If you’re feeling crafty, head over to Lolly Jane and read this step-by-step tutorial on how to make this gorgeous wheel wreath. So unique! Tonya from Love of Family and Home couldn’t find the wreath she wanted at the store, so she made her own! And it’s adorable! All the sources for her porch are included in her post. Sara’s entire porch is so festive! 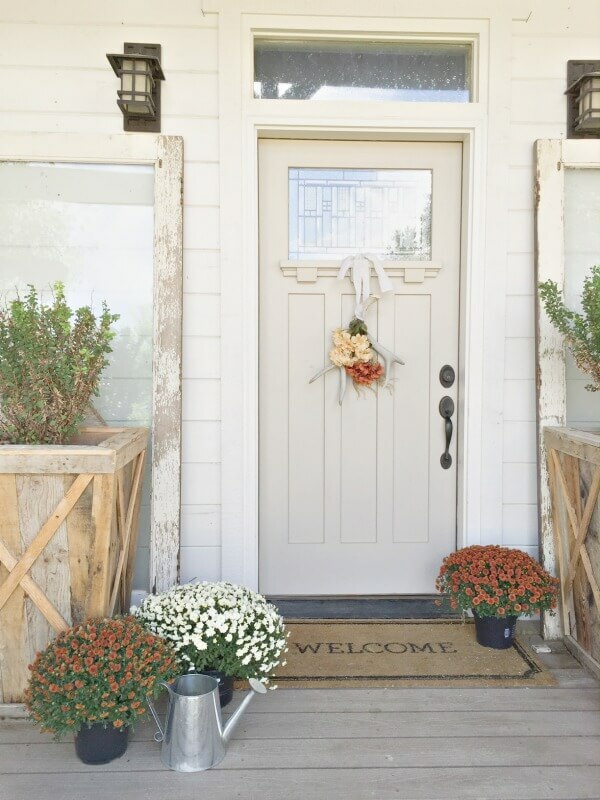 Go see the porch, and she also includes a tutorial for the non-traditional fall antler wreath. Chloe from Boxwood Avenue mixes real and faux greenery in her garland to help add authenticity. 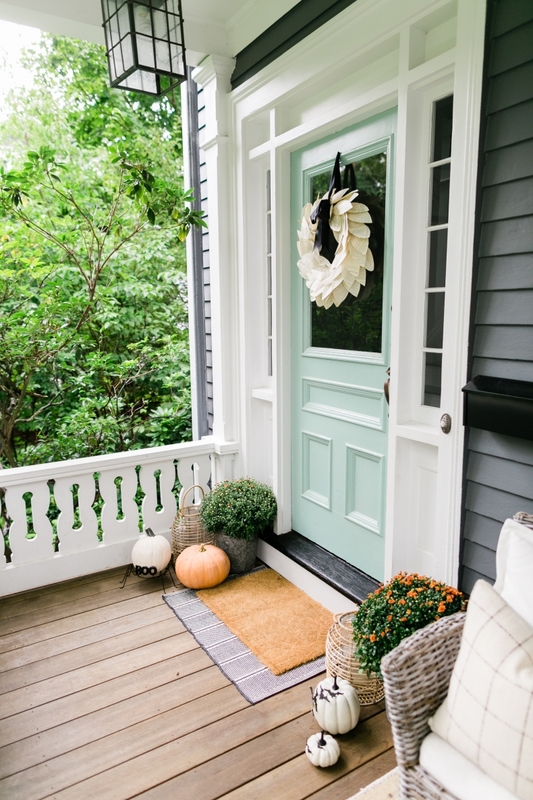 Go see her entire porch, and you’ll find the sources for her fall decor. So gorgeous! This book page paper wreath is so cute! 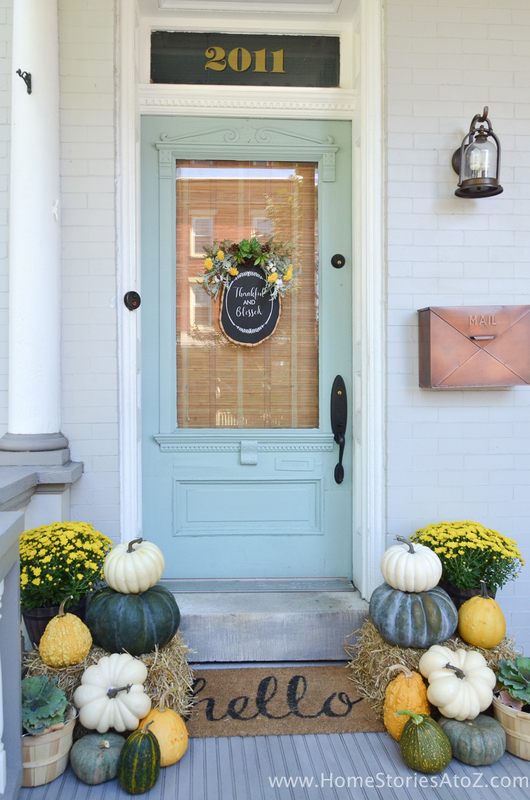 Go see the entire fall tour of this gorgeous home. 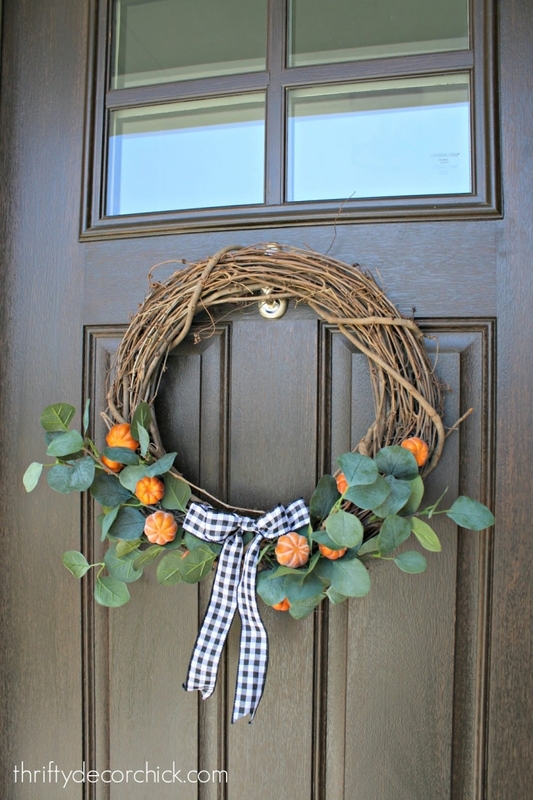 This easy wreath is the perfect fall craft! Super easy and adorable.